My Romantic Home: The Lemon Drop Jar - The Book! The Lemon Drop Jar - The Book! Yesterday after my post about my lemon drop jar, I received a wonderful email from Diane about this book. 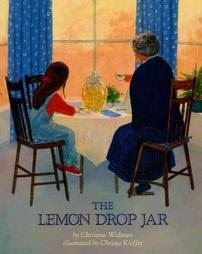 It's so funny how some things happen....It was Diane's first visit to my blog and one of her and her granddaughter's favorite books is the Lemon Drop Jar by Christine Widman. It's the story of Great Aunt Emma's crystal jar filled with lemon drops. After reading Diane's email I knew I had to buy this book! I looked on Amazon and was shocked to see it was selling for $53 to $99 for a used copy....it must be a great book! I'm often given Amazon gift certificates so I'm going to save them up and buy this. I don't have any young children but someday I will have grandchildren (I hope) that I can read to. Thank you so much Diane for your wonderful email letting me know about this book ....I just know I'm going to love it as much as you and your granddaughter! You can read more about this book on Amazon....just click here. I looked on my library's website and found it available at the location near me. I have requested a copy be held for me. Sound's like a good book for me to read to my daughter! I hope you can get a copy soon. That must be some book! I've never heard of a 32 page children's book that is that expensive. I, agree, check out the thrift stores, ya never know. Decided it was time to come out of lurkdom and comment ~ Your BLOG is so lovely! I've been visiting for months and after reading yesterdays post it brought back some fabulous memories for me as a child. My older sister and I LOVE lemon drops. Wonderful how something so simple like a yellow piece of candy can do that huh? 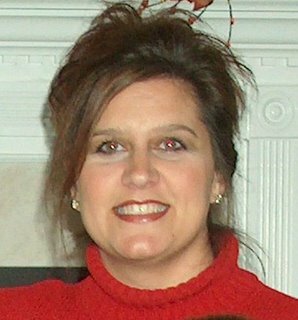 Hope you have a wonderful day and was wondering if you'd mind if I added a link to your blog? I did an Ebay search for the book, it came up $53. In that search a lemon drop candle came up that is too cute. I owe Lucinda (comment above) for a practical joke from awhile back. Maybe I should go over there get that book and mail it to you. When she gets sent to library jail we`ll see who`s laughing. We both love your blog and talk about often. Hi Cindy, you definitely need to find that book. Must have been very popular to be so valuable now. Good luck.